GOKPOP | Exclusive K-News in Malaysia & Singapore: First 100 Customers to Purchase Galaxy Note8: Stand a chance to meet Song Jihyo on stage & Receive a Autographed Cover! First 100 Customers to Purchase Galaxy Note8: Stand a chance to meet Song Jihyo on stage & Receive a Autographed Cover! 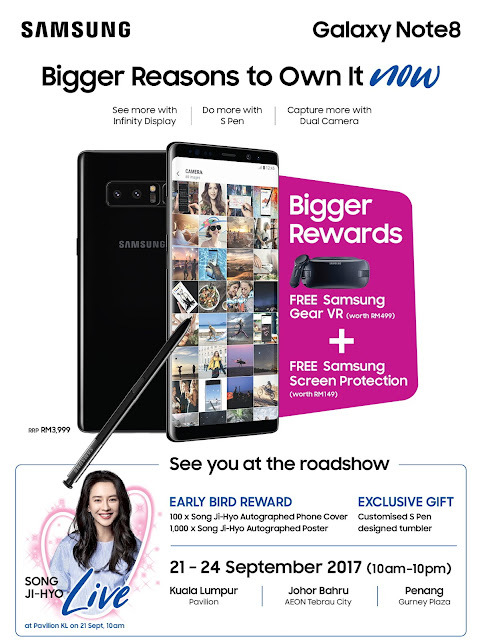 To celebrate the official launch of the Galaxy Note8 in Malaysia, Samsung Malaysia Electronics invites you to be a part of a nationwide roadshow where consumers will have the opportunity to own the ultimate productivity device along with exclusive deals and promotions!